A well-established stud farm with an enviable reputation situated in a peaceful quiet road about two miles from Coylton. It is ideally placed for the market town of Ayr and Ayr Racecourse which has a large number of fixtures and excellent facilities for race horses. 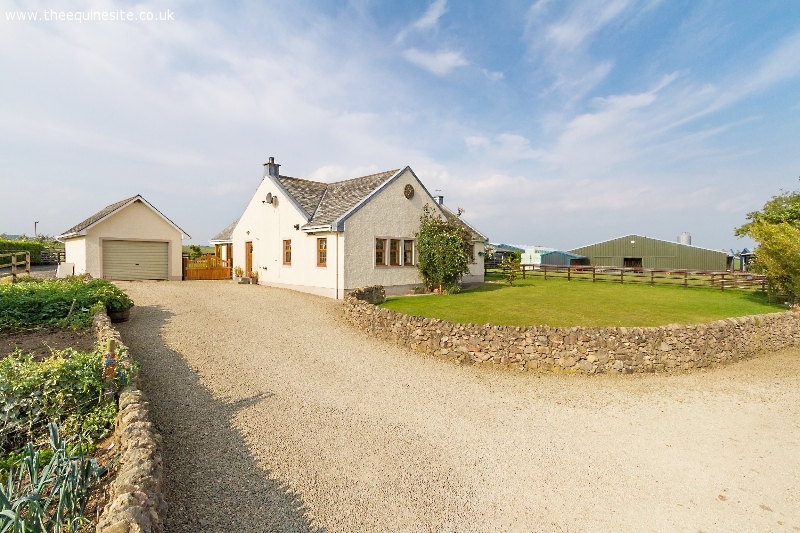 The property has magnificent views over the surrounding countryside and is in a convenient location for easy access to Ayr, Glasgow and beyond via the newly improved A77 and M77. Established about 20 years ago by Gordon Thom, its principal function has been breeding race horses. It would also make an exceptional centre for the competition rider or a livery yard. The farm is well laid out with an immaculate modern house and numerous carefully designed buildings and 12 well fenced paddocks.